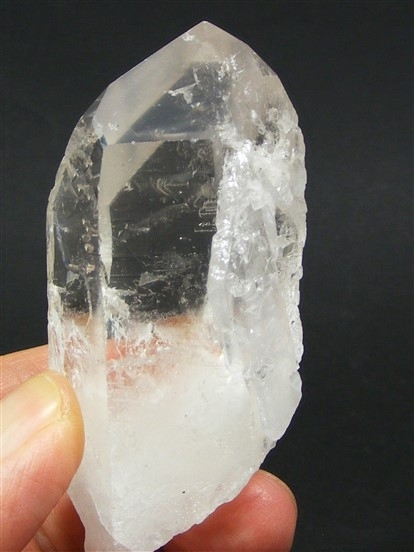 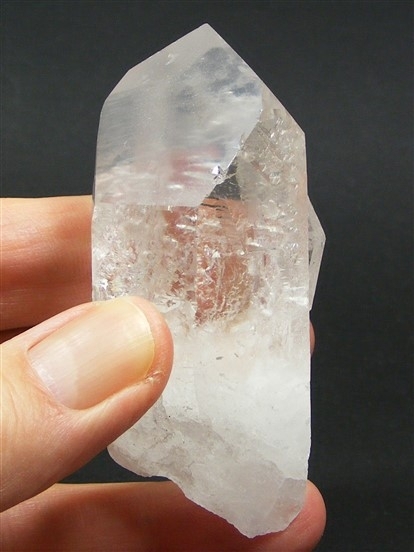 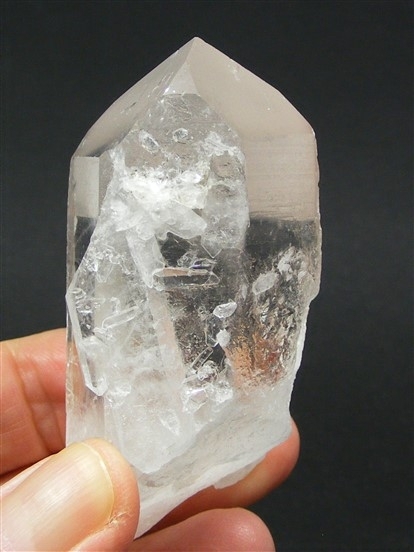 This is a lovely piece of Quartz that looks a little "time worn" but has a couple of interesting features. 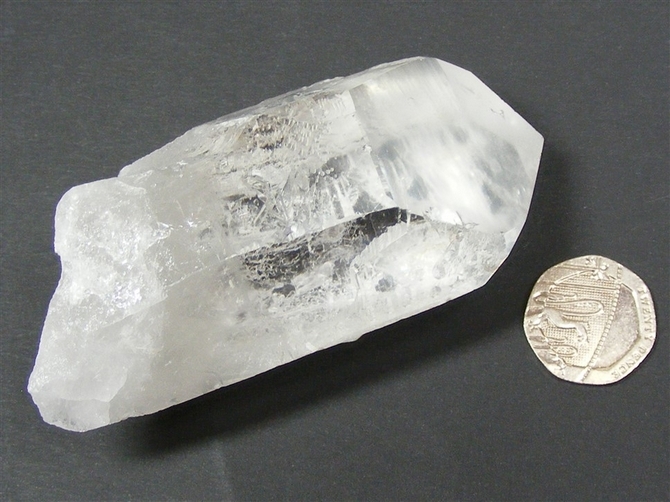 Firstly, it is a transmitter/receiver Quartz with two 7 sided faces either side of a 3 sided face. 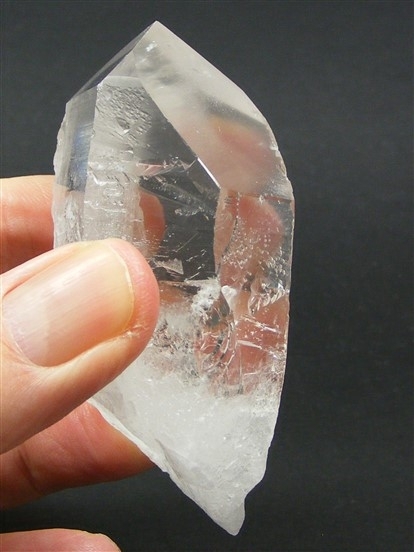 Secondly, it is a barnacle Quartz with other small points growing at random angles on one side of the main body.